Watch the Shelter Cove Fireworks from your private compound! 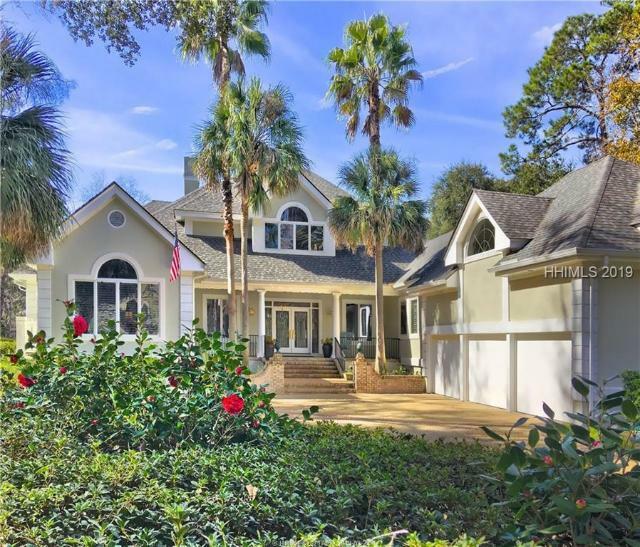 Phenomenal 7BR/7.5BA updated home on 3.57 acre lot with 180 degree waterfront and marsh views. 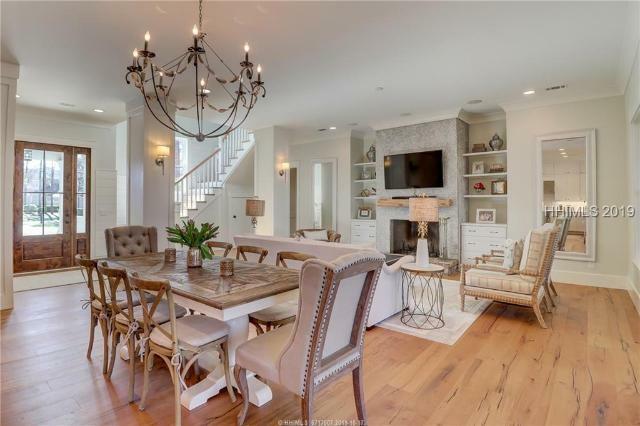 This very private family home is centrally located in the upscale Crosswinds Community w/security gate, community pool and dock w/deep water access. 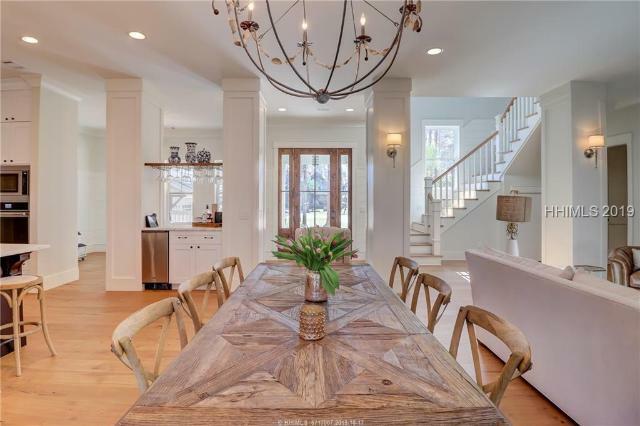 Built in 2000 and remodeled in 2013, this home displays quality and character throughout: open floor plan, pine flooring, 2 fireplaces, eat-in kitchen, 2 decks overlooking the water, 3+ car & detached garage. 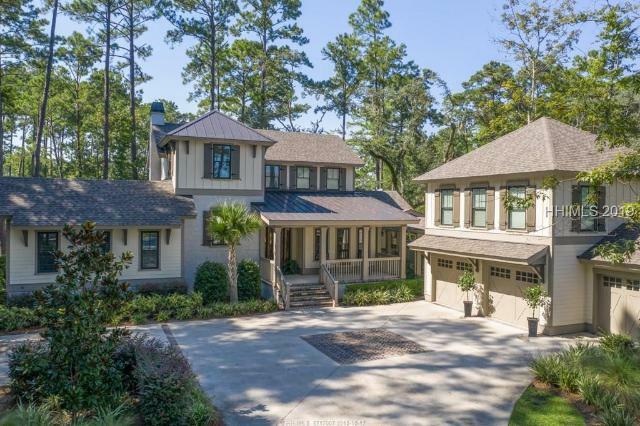 Elevator from garage, Master Suite, 2BR/2.5BA on the main level, 4 BR/4BA on the 2nd floor. For those who appreciate the crosswinds! Beautiful views of tidal marshes. Kayak to Calibogue Sound at high tide from your private kayak dock. .5 mile to beach-easy walk or bike! 4 bedroom, 4-+ bath home has been updated & enlarged over the years. Open floor plan w/large Kitchen open to the family room w/counter seating & breakfast area, ceiling fans, wood floor & many windows to enjoy the views. Master bedroom has new master bath & large walk in closet. All living on one floor. Only one bedrm & bath upstairs w/3 bedrooms w/private baths downstairs including the master. 2 car garage, circular drive & cul de sac street. Pool w/Trex decking. Perfect vacation or permanent living.